San Antonio was named for Saint Anthony of Padua by a 1691 Spanish expedition in the area. There are five 18th century Spanish frontier missions in the city. Two of them, The Alamo and the San Antonio Missions National Park were designated UNESCO World Heritage Sites in 2015. San Antonio is also known for its River Walk. These are among numerous reasons that San Antonio attracts a large number of tourists every year. San Antonio is home to a number of facilities of the U.S. armed forces. A portion of one of the bases was decommissioned and developed as an industrial/business park and aerospace complex. Further, several Fortune 500 companies are located in San Antonio, as is the South Texas Medical Center. 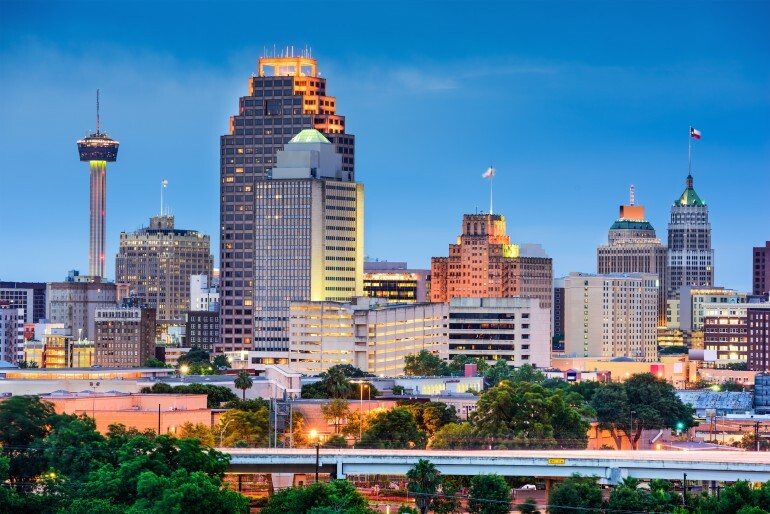 In addition to its military, tourist and medical/health care activities San Antonio’s economy is also focused on financial services, oil and gas, some automobile related manufacturing and call centers. With the diversity in its economy and the expanding global trade associated therewith, there is a quickly growing need for document, audio, video and other translation services. World Translation Center offers itself as the reliable partner when it comes to international communication. World Translation Center has assembled one of the largest voice talent databases with well over 2,500 demos of professional voice over native speaker artists from over 150 countries. World Translation Center has over a decade of experience in addressing its clients’ requirements not only for video voice over and subtitling but also for all manner of document translation, with the ability to tackle virtually any language pair or multilingual translation. We assure our clients of the highest level of accuracy, reliability and timeliness in our translation services.